As if breathing clean and easy is not enough, the benefits of using a Himalayan crystal salt inhaler keep on coming. Also known as a salt pipe, a Himalayan salt inhaler consists of a small chamber that holds the salt and a nozzle through which you inhale through your mouth. Exhale through your nose and experience the myriad benefits noted by Dr. Oz and Dr. Edward F. Group III. 1) Breath enhancer. Here’s where the clean and easy breathing comes in, with the salt inhaler’s ability to increase your breath capacity. 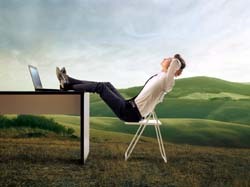 Increasing the oxygen flow to your body and mind promotes optimal health for both. 2) Allergy and asthma symptom alleviator. Himalayan salt crystals have a long history of helping to reduce and even prevent symptoms of certain respiratory conditions, thanks to studies that stretch back 200 years. Allergies and asthma top to list of ailments, and the inhaler can also help alleviate bronchitis, hay fever, rhinitis, breathlessness and similar sinus-based symptoms. 3) Serenity inducer. Easy breathing induces your body’s natural relaxation response, which offers a serene sense of calm that begins in your mind and travels down to your toes. Instant stress relief anyone? 4) Fungus fighter. Fungus and bacteria can take a hike when faced with the Himalayan salt inhaler. The salt crystals additional serve as an anti-microbial agent, kicking germs and infections to the curb. 5) Delightful detoxifier. Walk into a Himalayan salt cave and you’re walking into a chamber of purified air, and the same purification holds true with a salt inhaler. The salt pipe shoos away smog, dust, smoke, chemical pollutant and the hefty load of additional impurities you’re typically forced to breathe every day. Himalayan salt’s high mineral content also doubles as a detoxifier for your body, flushing out accumulated poisons. 6) Sleep promoter. A Himalayan salt inhaler can help promote sound sleep in two ways. The first is through the relaxation response it induces. The second is by quelling nighttime coughing, wheezing and even certain types of snoring. 7) Mucus mitigator. The very word “mucus” is not pretty, and salt inhalers help clear out excessive amounts that can otherwise lead to stuffiness and congestion. This can help you say goodbye to those headache-inducing cold symptoms. 8) Inflammation opponent. 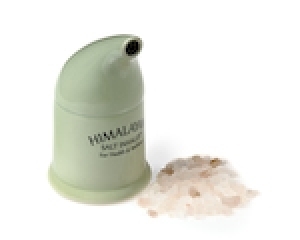 The Himalayan crystal salt inhaler is hailed for its anti-inflammatory properties. Keeping your body’s inflammatory responses at a minimum serve to keep your entire body healthier, as constant inflammation can result in progressive deterioration of your tissues and cells. 9) Blood pressure regulator. Thanks the high potassium content in Himalayan salt crystals, a salt inhaler may help reduce high blood pressure symptoms as reported by some. The American Heart Association notes that potassium reduces the effects of sodium, thereby reducing blood pressure increases caused by high amounts of salt in the diet. 10) Membrane hydrator. A dry and scratchy nose and throat can be a thing of the past with the use of a Himalayan crystal salt inhaler. The salt crystals work to hydrate your entire respiratory system, which can be particularly beneficial you’re suffering from the flu or stuck in an airplane’s dehydrating environment. 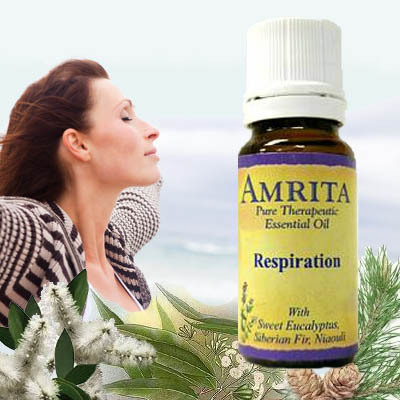 And these benefits can be further enhanced with essential oil blends made specifically for respiratory relief. Just add a few drops to the Himalayan salt inside of the salt inhaler and breath easy! *Please note: These statements have not been evaluated by the Food and Drug Administration. None of our products is intended to diagnose, treat, cure, or prevent any disease. Information and statements made are for education purposes and are not intended to replace the advice of your treating doctor. The OM Shoppe does not dispense medical advice, prescribe, or diagnose illness. The views and nutritional information expressed by The OM Shoppe are not intended to be a substitute for conventional medical service. If you have a severe medical condition, see your physician of choice.